Sushi Hub Balmain joined our Mission to help provide access to “Clean Water for All by 2030”. This Mission was initiated by the United Nations. A big thank you to Sushi Hub Balmain’s team and customers for joining this extremely important mission on 07 April 2018. 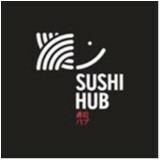 Sushi Hub opened its first store on 16 October 2006, at the end of 2017 there will be 50 stores across New South Wales, Victoria, Queensland and Australian Capital Territory. We are proud to be making in excess of 130,000 pieces of sushi and servicing in excess of 40,000 customers daily. Our seafood are sourced locally, delivered daily and our suishis are cooked, prepared and rolled on site providing the highest quality and ensuring its absolute freshness.